Fort Lauderdale is a city which is located on southeastern coast of Florida. Beaches of Fort Lauderdale are world famous and they attract local, tourists and travelers from every corner of the globe. Fort Lauderdale is a major city which is very close to Miami and it is a part of greater Miami project. There are many other places in Fort Lauderdale which have become the very definition of Fort Lauderdale. Fort Lauderdale International Airport is one of the busiest Airport of the world. Port Everglades is also located in Fort Lauderdale area which is one of the biggest ports in America. If you are looking for recreational and fun activities then this amazing city will also be the best option.There are many places in Fort Laauderdale which attracts tourists from all around the world. 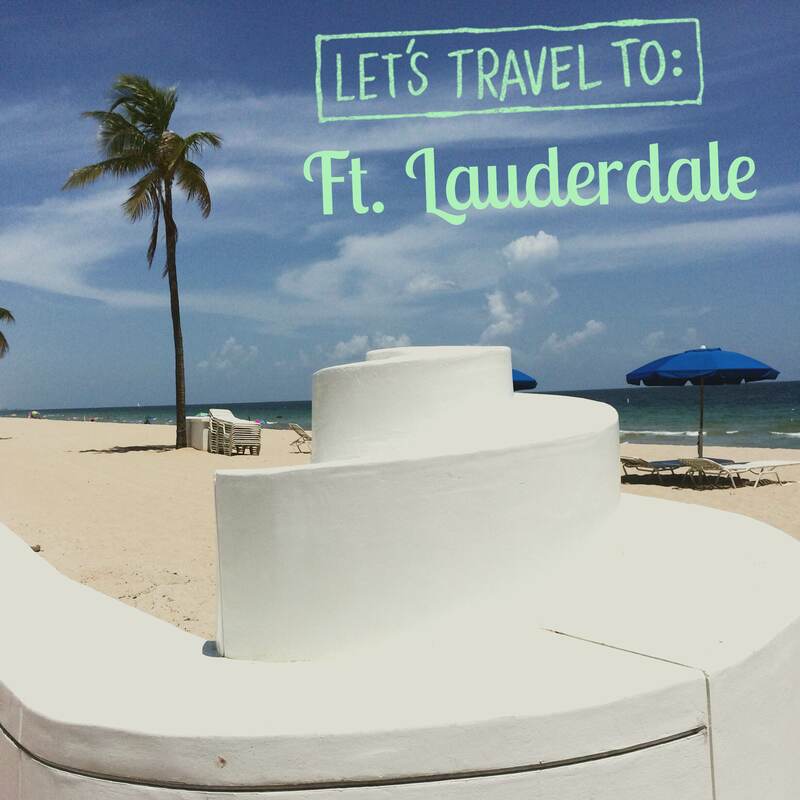 Down below you will learn about 5 must see places of Fort Lauderdale, Florida. The International Swimming Hall of Fame and Museum is a historical place whose sole purpose is to promote swimming and provide guidance about its benefits. It is a private organization. Swimming is a very tough sport and this organization has different disciplines to offer to its students. Some ancient relics which are related to the swimming are also the part of collection of this museum. In other words The International Swimming Hall of Fame and Museum is among must see places of Fort Lauderdale, Florida. Butterfly World first opened in 1988.It is located in 15 miles of downtown Fort Lauderdale area. Thousands of caterpillars are there, waiting to turn into beautiful butterflies. Best place for children and adults as well. Butterfly World is definitely one of the must see places of Fort Lauderdale, Florida. Click here! if you need to travel to and from Fort Lauderdale by using ground transportation services. Explore neighbor hood of Fort Lauderdale area with ”Hop-On Hop-Off Bus Tour”. This service is rendered by Sun Trolley, Florida. You will take a birds eye view in a double tacker bus. You can get into the bus just by waving your hand. This is a very unique experience will always remain in your hearts forever. Sawgrass Recreational Park is the ideal spot for recreational and fun activities in Fort Lauderdale, Florida. This amazing place that allures tourists and traveler from far corners of the earth. If you are bored and you feel like your life is stuck and you could not find anything interesting to interesting to do with your life and your precious time then take a hike to Swagrass Recreation Park in Fort Lauderdale. You will find a whole bunch of crowd at this place which will provide you with chance to make a new start. Port Everglades is a very popular area which attract tourists and traveler from all over America. It is also a world famous port which brings tourist in Florida to this place. Port Everglades is also a famous deep sea port area where ships come and go from every corner of the world. In other words people from every different culture, language, country and region can easily be found this place in abundance. Port Everglades is a gateway to trade and vacation. The NSU Art Museum is an art museum which is located in Fort Lauderdale, Florida. It started working in 1958. It has a collection of art which cannot be found anywhere else in the world. NSU Art Museum has thousands of articles of arts and culture. Many artists have contributed to make this collection so immense. All art lover come here from all over Florida to Visit this historical museum. Down below you will read 3 best reviews about the NSU Art Museum Fort Lauderdale on Virtual Tourist. A friend took me here and I was super surprised how great it was and I did not even know it existed. We came during a special fashion exhibit that was wonderful. I will keep an eye out for this place. Nicely done. I wanted to check out the Chuck Close exhibition of photographs – it was fine though not exceptional. But the Italian fashion from the ’40s, ’50s and ’60s exhibition was excellent. A big surprise. There are also two other small exhibits which are okay. This museum is rather small, which is not necessarily a bad thing.